Sticking with the racing theme from last week, I decided to take a look at another game that I put some substantial time into in my younger years, even if I didn’t own the console that it was released on. Despite loving my Super Nintendo with all my heart, I always wanted a SEGA Mega Drive as well back in the day. 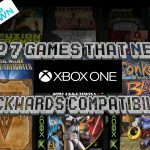 I never bought into the whole “Console War” thing that was going on at the time. I thought both the SNES and Mega Drive were awesome and wanted to play them both incessantly. Alas, my family couldn’t afford to get me both, so the only time I could play on a Mega Drive would be if I had a friend who owned one and was willing to let me have a go. 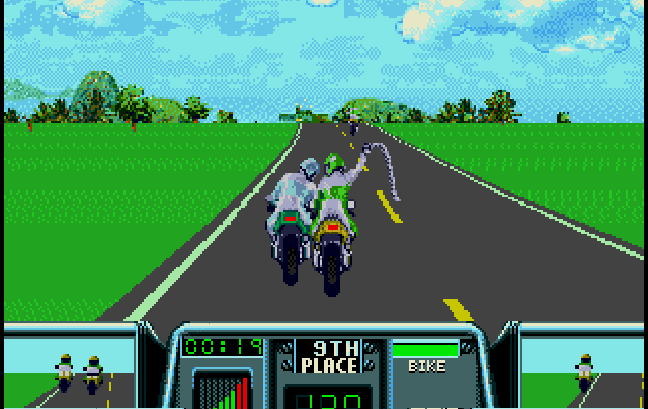 It was on one of these occasions that I first played Road Rash 3. Road Rash 3 isn’t the best game in the famous Road Rash series (I think that would probably be the one released to the 3DO) but is a solid slice of motorbike brutality all the same. 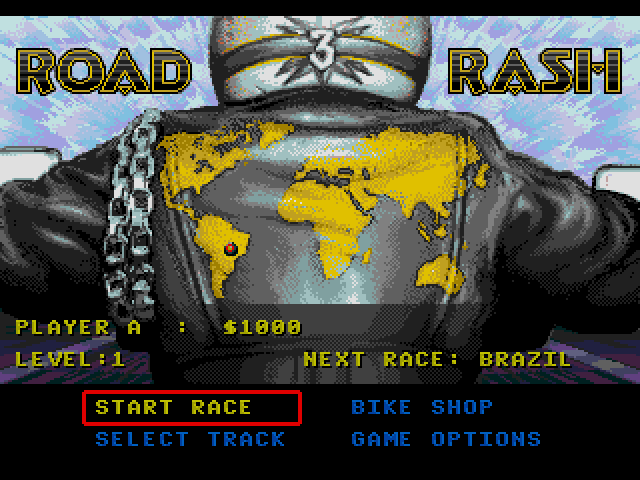 Going for a “World Tour” theme, Road Rash 3 sees you racing against chain-swinging and baseball bat-clubbing opponents across every section of the globe with the goal of filling your pockets with ill-gotten gains. 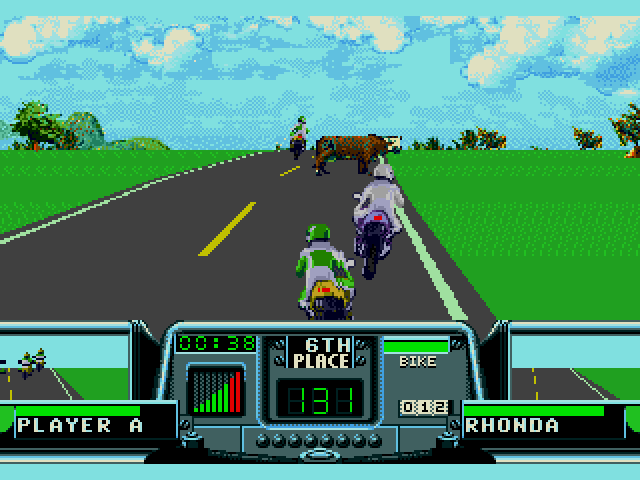 Along the way you have to avoid oncoming traffic, survive perilous intersections, dodge local wild life, squeak past pesky pedestrians, slip under the long arm of the law and fight off the unwanted advances of your murderous fellow racers to crown yourself the Road Rash 3 World Champion. As with most Road Rash games, the control system in Road Rash 3 isn’t overly complicated, with the game being tailored for pick up and play fun over a serious biking simulation. You press B Button to accelerate, A Button to break and C Button to kick and punch whilst alongside the opposing racers. 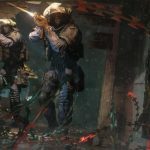 Some of the racers won’t try and engage you in a punch up, whilst others will not only willfully attack you but do so with a brutal assortment of weaponry. Such weapons include chains, baseball bats and even a big, hefty wrench. Thankfully, you can sometimes steal these weapons from your rivals, which will give you more of a chance when indulging in scraps. In most cases it isn’t too difficult to fend off rival racers so long as you time your attacks well. Sometimes a good old fashioned ram is better than an outright attack, and there are few things more satisfying in Road Rash 3 than ramming into another racer who has been pecking your head all race and sending them careening into an oncoming vehicle. You have to be careful to keep your eyes on the road though as it’s very easy to get distracted by having a punch up, only for a van or sports car to mow you down. Thankfully, colliding with another vehicle isn’t an immediate game over as your bike will have a health bar. So long as there’s some juice left on that, your rider will gamely clamber back onto their ride and continue the race. 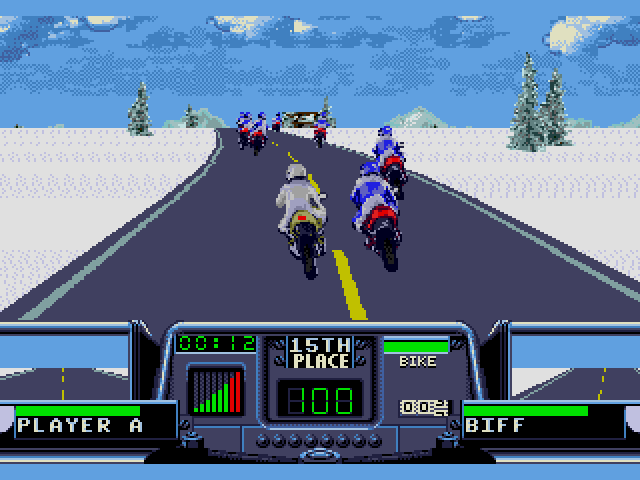 The World Tour theme of Road Rash 3 sees you racing on icy roads in Germany, motoring through the English countryside and swelling up a dust storm on the barren roads of Kenya. Finishing in the top 3 positions will allow you to clear a stage, with you moving up to another level once you’ve qualified on enough courses. Sadly, there isn’t much variety in the courses when you step up to new levels, with the existing courses just getting longer and your rival racers getting more aggressive. Even if you don’t finish in the top 3, you will still earn some money from each race, which will allow you to upgrade your existing bike or even go all in to buy a new one, which should help with you qualifying and advancing to the other stages. 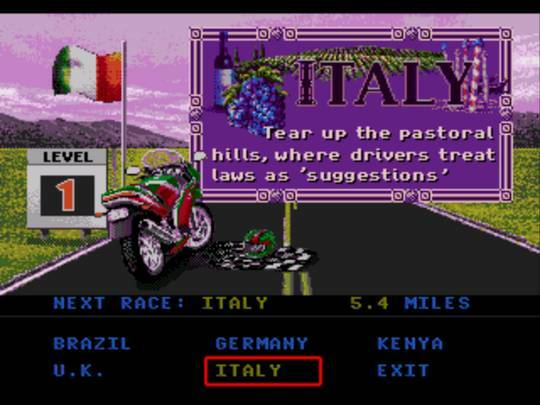 It’s a shame that advancing to a new level doesn’t lead to five brand new stages for you to race in, but this is a game from 1995 on fourth generation hardware, so it’s understandable why the developers felt the need to stretch out the other stages rather than making all new ones. Getting to Level 2 does unlock an Australia stage at least, which is one of the better looking stages in the game, even if the overall visual quality of the game isn’t especially great. Road Rash 3 has a general fuzziness to its graphics that doesn’t make it especially easy on the eye. At times the game has an almost watercolour look to it on some stages, with the colours having a smudged quality to them. In levels with a generally brighter colour palette, such as Brazil, the graphics can sometimes be eye-bleedingly pronounced, and it can make it hard to focus on what you are doing. It’s not the worst Mega Drive game when it comes to graphics, but it’s not an especially visually pleasing one either. Thankfully, the fun gameplay and decent customisation options on offer for your ride make Road Rash 3 a decent game overall, if not a particularly great one. I had fun going back to it after all these years, and it’s easy to see why the series in general was so popular. Road Rash 3 is all about getting onto the racetrack and not being afraid about getting stuck in when called for. It openly encourages you to brawl with your fellow racers and will even allow you to clobber police officers who get too close to you as well! Be warned though, if you should be knocked off your bike, the plod won’t think twice about sending you to the slammer, so you might want to deploy some nicer manners when they’re around! I’d be happy to recommend Road Rash 3 as a gameplaying experience, but it can be quite pricey if you’re looking to buy it (a quick peruse online can see it priced as high as £25, which is far too expensive for what you’re getting), so it might be a good idea to go for one of the earlier games in the series as they are still fun to play, and they won’t hurt your wallet as much either. Until next week, look out for those nun-chucks!